Have You Ever Wondered What Is Under Your Feet? How Did This All Start and What Are We Doing About It? When the first oil well erupted onto American soil in 1859, whiskey barrels and wash tubs were used to store crude oil. Wooden barrels would continue to be the storage vessel of choice in the earliest days of the fledgling American oil industry. Soon, so much crude oil was produced that the need became urgent to find ways to store larger volumes of oil in more reliable containers and for longer periods of time. Around 1900, steel seemed to provide the solution to this problem. Riveted steel tanks soon became the standard container and could be fabricated to store thousands of barrels of crude oil and petroleum products. Some of these tanks were used to store products above ground while others were buried underground. As the oil industry continued to grow, a few mishaps involving storage tanks prompted oil producers as well as insurance company officials and local fire fighters to see a need to address the safety issues surrounding storage of large volumes of flammable materials. In 1904, the National Board of Fire Underwriters generated written standards for storing flammable liquids. In approximately 1915, Underwriters Laboratories began to develop the first safety standards for aboveground steel storage tanks. As more and more companies were founded that drilled for oil and/or produced storage tanks, industry-focused business associations also began to be formed. In 1919, the American Petroleum Institute (API) was founded. The API developed several early tank standards and guidelines for tank usage (and continues to promote the oil and gas industry today). After World War II (and especially in the 1950’s), the huge demand for automobiles sparked a concomitant growth in the demand for gasoline refueling stations. The prevailing design for a gas station called for the tanks to be buried underground with plenty of room around the above ground pumps for car movement. By the 1960’s, corrosion of underground steel tanks was causing such a great loss of petroleum that it began to cost the industry significant amounts. This motivated them to begin to address the causes of corrosion through tank liners, use of non-metallic tanks, tank surface coatings, cathodic protection, etc. The U.S. Environmental Protection Agency (EPA) was formed in the early 1970’s, and along with it came a heightened awareness of the potential for groundwater contamination from the vast number of underground storage tanks (USTs). Most major companies had attempted to address UST corrosion, but there was no national standard. In 1984, Congress began to act. 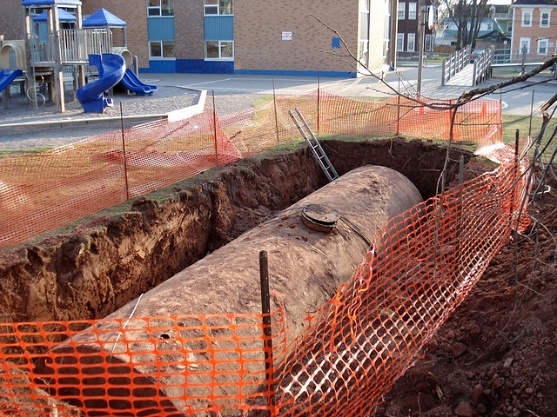 The EPA’s Office of Underground Storage Tanks was formed in response to the discovery that thousands of USTs had contributed to the contamination of groundwater. This was vital given that groundwater is the source of drinking water for nearly one half of all citizens of the United States. The Solid Waste Disposal Act required the EPA to set technical standards for tanks – including spill control and leak detection measures. In 1986, the Superfund Amendments Reauthorization Act authorized EPA to act as a responder for spills/leaks of petroleum, directed EPA to establish requirements for a UST owner’s financial responsibility for leaking USTs, and created the Leaking Underground Storage Tank (LUST) Trust Fund to pay for site cleanups when an owner cannot be identified (among other items). In 2005, the Energy Policy Act required periodic inspection of USTs, added items for expenditure of LUST Trust Fund monies, required EPA to develop guidelines for operator training and secondary containment (among other items), and added new leak detection provisions. In 2015, the UST Regulation changed some of the earlier regulations to require periodic maintenance, ensure UST compatibility with the stored product, remove some past deferrals, and update the codes of practice. Today, as a practical matter, administration of the UST program is largely managed at the state level. Thirty-eight (38) states, plus the District of Columbia and Puerto Rico, have approved state programs. That is to say, these 38 states act in lieu of the federal program – many having more stringent UST requirements than the federal program. ESC Lab Sciences is uniquely qualified to partner with UST owners and operators to fulfill their obligations under virtually any of today’s UST programs. Accredited across the nation and certified for ISO/IEC 17025:2005 and Department of Defense requirements. 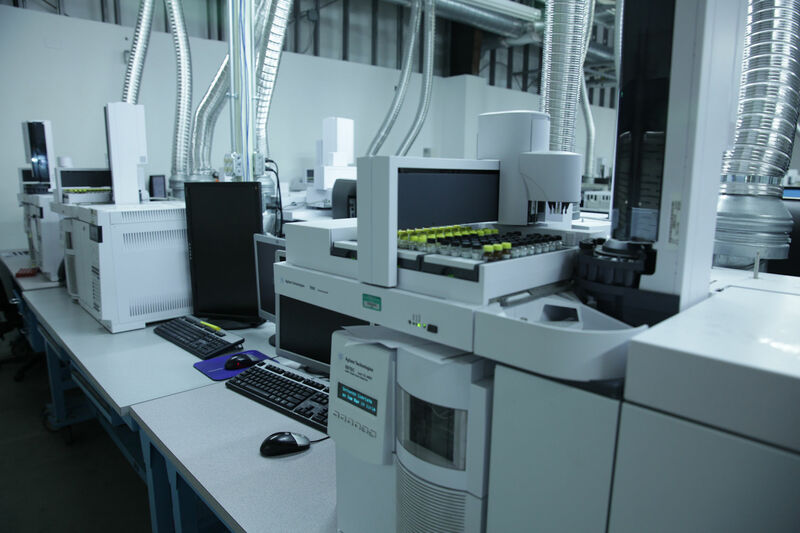 We also have significant experience generating data using UST-specific analytical methods such as Alaska’s AK101, AK102, AK103; Arizona 8015; Connecticut VPH and EPH; Florida PRO; Iowa OA-1 and OA-2; Kansas LRH, MRH, and HRH; Massachusetts VPH and EPH; Maine GRO and DRO; Missouri DRO and ORO; New Jersey EPH; NWTPH; Texas 1005/1006; etc.